The weekend saw Liverpool demolish Arsenal 5 – 1 and extend their surprise lead at the top of the Premier League table to 9 points. Now the inevitable question is do the side have what it takes to maintain their advantage and for once actually win the title? Saturday’s result shocked many, Arsenal have been impressive this season and no one expected such a wide score line. The reaction of many can be best summarised by Carles Puyol, the former Barcelona captain, who simply tweeted, “OMG Liverpool”. In some ways, that has been the reaction of many to the entire season. Last season saw Manchester City reach the long coveted 100 point mark and no one seriously believed that Jurgen Klopp’s team would end 2018 at the top of the table with last year’s champions in third place and trailing them by sevn points. Liverpool are the only team left in the league that are unbeaten this season and they are looking almost unstoppable. They have won seventeen games and drawn just three. If they continue in their winning ways then they could reach an incredible 103 points. The team have conceded just eight league goals after twenty games and they could conceivably match the record set by Chelsea in 2004/5 of just 15 goals conceded. Liverpool face a huge test tonight when they play Manchester City at the Etihad Stadium, but if they manage to win then many will be tempted to declare the season effectively over. However, Liverpool will have to be careful not to become overconfident and repeat mistakes of the past. They came close in 2008/9 and then again in 2013/14 only for both seasons to end in bitter disappointment. They cannot afford to relax at all, and it remains to be seen if they can continue with the same momentum through to the end of the season. The pressure on the team will only grow and there are others chasing for the title. Much will be down to how individual players handle the pressure. There have been winning teams in the past that have claimed big titles without having highly experienced players, but experience certainly doesn’t hurt. With that in mind, here is a look at the Liverpool squad in relation to how many titles the players have won. No Liverpool goalkeeper has ever won a major trophy. Alisson has been a major part of the team’s transformation and he may be the final piece that the team need to win the league. His prowess in goal has enabled Liverpool to maintain their impressive record and his excellent distribution has been a key weapon for the team, as seen with his excellent pass for Liverpool’s fourth goal against Arsenal. However, Alisson has never won any major titles. The closet he has come are the four regional titles he won with Internacional in the Campeonata Gaucho, but that is not much compared to a major league or tournament win. He had an excellent season with the senior team at Roma, but the club fell short in both the league and the Champions League. 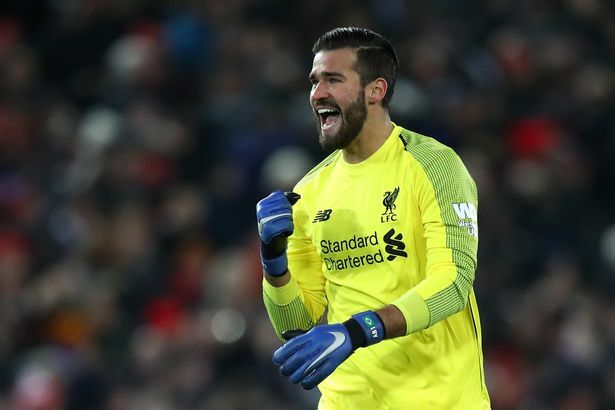 His colleague, Simon Mignolet, hasn’t had much of a look in given Alisson’s performances so far, but his only title to date is a second-tier title with Sint Truiden in 2009. Besides that, he just has three cup runner-up medals to his name. Between Liverpool’s defenders there have been three league wins, but no major titles. Virgil van Dijk won the Scottish Premiership in 2013/14 and then in 2014/5 while Dejan Lovren won the Croatian First Football League in 2008/9. However, the team’s defence has been a major part of their success this season, letting through just eight goals. Manchester City have the next fewest, but they are still a long way behind Liverpool. 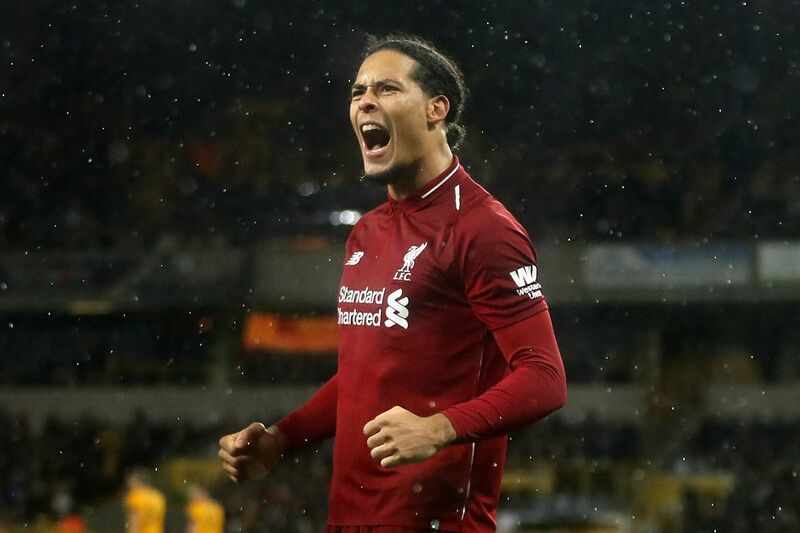 It is clear that the key player has been captain Virgil van Dijk, bought for an impressive £75 million last January. He has helped turn the defence into one of the best in the world. Thanks to Van Dijk’s consecutive league wins with Celtic in the two seasons he spent in Scottish football he does have some experience of the pressure that Liverpool are under. However, at the time Rangers were still battling in the lower leagues after their demotion, so there was hardly any pressure on Celtic. They won the league in March in the 2013/14 season and finished with a 29 point advantage, and then won by 17 points the next season. As mentioned, Lovren also has a title to his name, albeit in a far less pressurised league. Liverpool will be relying on their two young talents, Joe Gomez and Trent Alexander-Arnold, as well as Andy Robertson, who has spent some time in Scotland and the lower leagues, to maintain form throughout the rest of the season. There are a large number of title wins distributed between the team’s midfielders. Xherdan Shaqiri has won five, the Swiss Super League in 2009/10, 2010/11, 2011/12 and the Bundesliga in 2012/13 and 2013/14. James Milner has twice won the Premier League, in 2011/12 and 2013/14. Naby Keita has won the Austrian Bundesliga twice in 2014/15 and 2015/16. Fabinho has won the Ligue 1 in 2016/17 and finally, Georginio Wijnaldum won the Eredivisie in 2014/15. The midfield at Liverpool is the area where Klopp has the space to make the most changes as it boasts a huge array of talent. James Milner has a vast amount of experience, having won the title twice with Manchester City, and this could prove vital as the season moves into its later stages, while the other players listed above also have an idea of what is required of them. Xherdan Shaqiri is the most decorated player in the team, having won five successive titles with FC Basel and Bayern Munich. While he spent three seasons with Stoke City, he clearly still knows how to perform at the top level and he has made a number of vital contributions to the season so far, such as his two goals from the bench in Liverpool’s recent win over Manchester United. There are three league title wins amongst Liverpool’s forwards. Sadio Made won the Austrian Bundesliga in 2013/14, Mohamed Salah won the Swiss Super League in 2012/13, and Daniel Sturridge won the Premier League in 2009/10. Liverpool currently have one of the most feared attacking sections in the Premier League, if not the world, and given that, it is surprising how little title-winning experience there is among them. Roberto Frimino, who scored a stunning hat trick against Arsenal, has no honours to his name, while Sadio Mane and Mohamed Salah have only won titles outside of the European elite. While Daniel Sturridge has a Premier League title to his name, he only scored one goal in 2009/10 when Chelsea won the title. During his two seasons with Roma, Salah was never able to help the team overcome Juventus, while Mane and Firmino have never really played for a team that is capable of winning a major title. However, they work so well together that they are likely to be confident of changing that over the next few months. Nonetheless, they will be bearing the brunt of the pressure as Liverpool try to win their first league title since 1990. 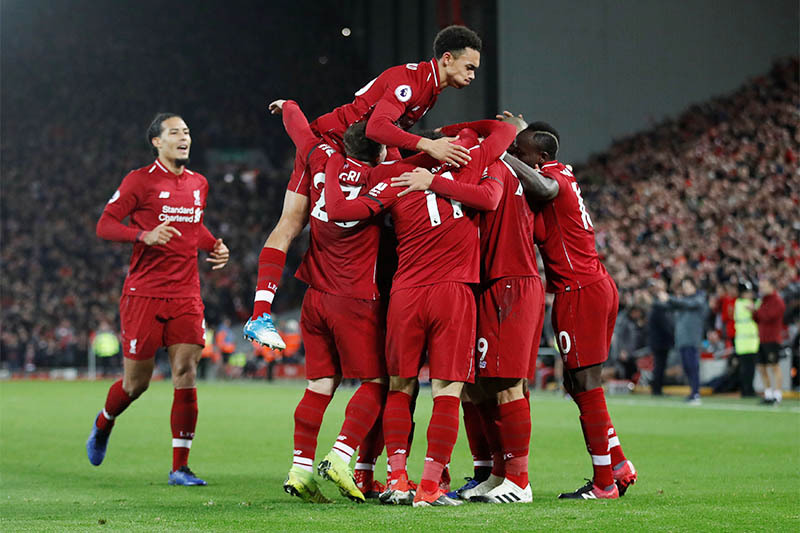 It is widely agreed that Liverpool’s defence and attack are their two major strengths at the moment, but hardly any of the players have won major titles. If Liverpool can maintain their current form then a number of players will be enjoying their first major title win; however, it will only take a few slip ups and for Manchester City to return to form for things to go wrong. The pressure is going to continue to mount and all of the players are going to feel it. It is bound to be an exciting few months, and one that will have all fans on the edge of their seats. At the moment the bookmakers are confident of Liverpool’s ability. For example, at William Hill Liverpool are the clear favourites to win the league with odds of 1/2, they are followed by Manchester City at 7/4 and Tottenham Hotspur at 16/1. Tonight’s match will be interesting to watch. Manchester City are the favourites at 11/10, the odds on Liverpool are 23/10 and a draw is at 27/10. It is sure to be a battle, and if things go Liverpool’s way the result will go a long way to securing them the title. However, if City win then the title race will suddenly be much narrower and the pressure will increase on all sides.